Although Cheshire does not have any mountains, the hilly terrain has a lot to offer to runners; and in winter this becomes particularly interesting.. This route covers the Middlewood Way; an old railway line now popular with walkers, horse riders and cyclists as well as runners, up as far as Lyme Park on the edge of Cheshire. Today this was deep in snow and finding the trail to run along was tricky enough, let alone the hills on route. I then followed a lot of the Gritstone Trail, which is a very hilly route popular with walkers and runners alike. The sledges were out today and keeping from slipping was near impossible, but all adds to the fun. In this video, I quickly cover this 21 mile route and despite strong adversity from the conditions, I remain on my feet throughout (just about). Not quite as extreme perhaps as running in the Lakes or Snowdonia with all them mountains and what have you, but with almost 2,000ft of elevation, this is by no means an easy route. 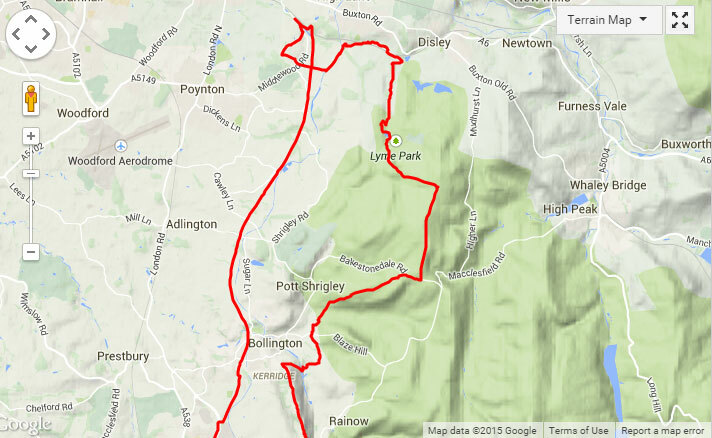 Especially seen as the Middlewood Way that took up half of this run is completely flat. Yvonne Mayers on Is Running Worth the Risk of Injury? Dan Mayers | Powered by Mantra & WordPress.